NEW PRICE. Located behind the coveted guard-gated community of Blackhawk, this custom-built home showcases high-end finishes throughout. Set on nearly .5 acre of manicured grounds, this light-filled home features a welcoming wrap-around porch & overlooks the 11th hole of The Falls golf course. Gleaming hardwood floors, elegant fireplaces, a wood-paneled library, soaring high ceilings & full entertainer's bar. Upstairs are 4 bedrooms & a spacious master suite equipped w/an office behind French doors, spacious walk-in closet & spa-like bath w/marble floors, countertops, therapeutic bath & subway tiled shower. Ideal for entertaining, the gourmet kitchen features top-of-the line appliances & sliding doors that open to the backyard w/pool, spa, fire pit, bar w/gas grill & unrivaled privacy. 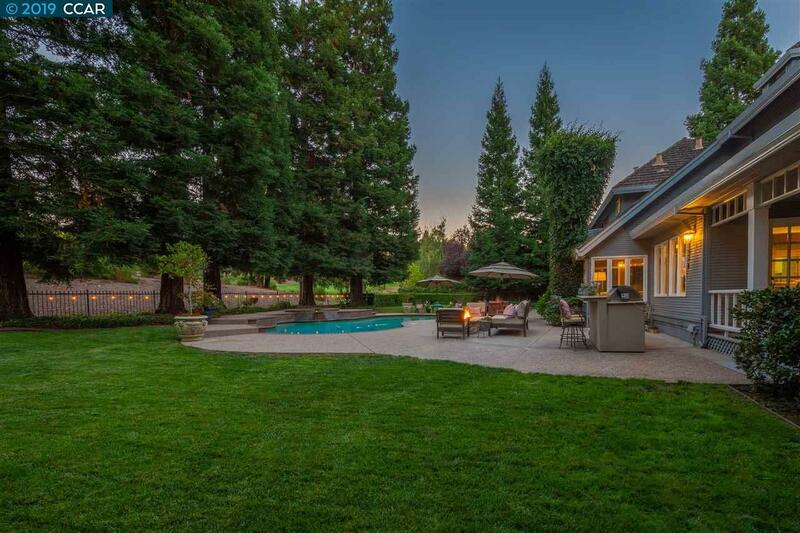 Highly acclaimed Danville schools, this property is a fantastic opportunity to enjoy a home of extraordinary quality in an exclusive neighborhood.